Choosing one really good flower shop with satisfying service can be quite tricky. Many people expect to be able to get the best quality of fresh flowers. But many people also don’t really understand the things those every good florist has. These things are important to be considered if one wishes to be satisfied with their choice of flower shop. Flowers are needed from time to time for the various reasons. 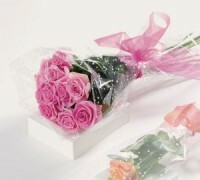 Flower bouquets are made for various purposes such as gifts for the loved ones or being used as decorations. Visit Blooms Weddings Florist website for shopping for your floral gifts, we have a large selection for all occasions. So, what are the things to be remembered in choosing a florist? First thing to be noted is to know if a flower shop is associated with professional group. This is important especially for flower delivery as the first thing that guarantees the quality of a flower shop. Professionals will always do their best not just because it is business but it is also about passion. Second, check the quality flowers in each flower shop. Make sure that the flowers are fresh. The plants should be healthy and the flowers are rich in colours. Don’t accept flowers with brown edges or the wilting plants. Checking the variety of flowers being sold in a shop will be a good move. A flower shop with larger stocks will usually be the better choice because the shop usually has better rotation in the freshness of flowers. Ask the flower shop for various questions regarding fresh flowers to make sure if the owner is truly professional who knows exactly about the business. It is also a good thing to check what other customers say about the flower shop.